$24 - Vintage inspired, this red ruffle dress and matching bonnet will make your little darling look adorable. In a bright red knit fabric, this dress is comfy like she is wearing a sweater but also stylish with it being a dress. A large ruffle goes across the shoulders through the chest and the dress has a high neckline. 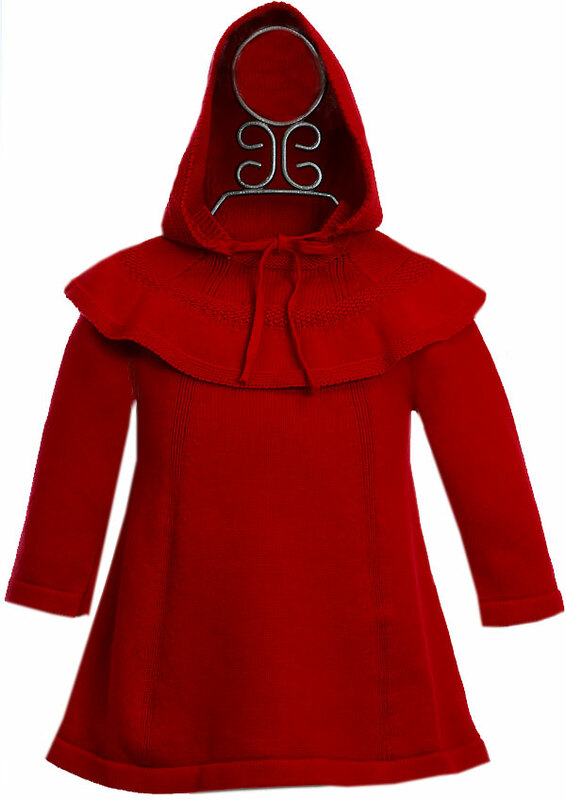 Your little red riding hood will have the perfect outfit whether it be for family pictures or a holiday party.